The Indigenous Peoples March at the Lincoln Memorial in Washington, D.C. on Friday quickly turned ugly following a confrontation between a teenage supporter of President Donald Trump and a Native American elder. 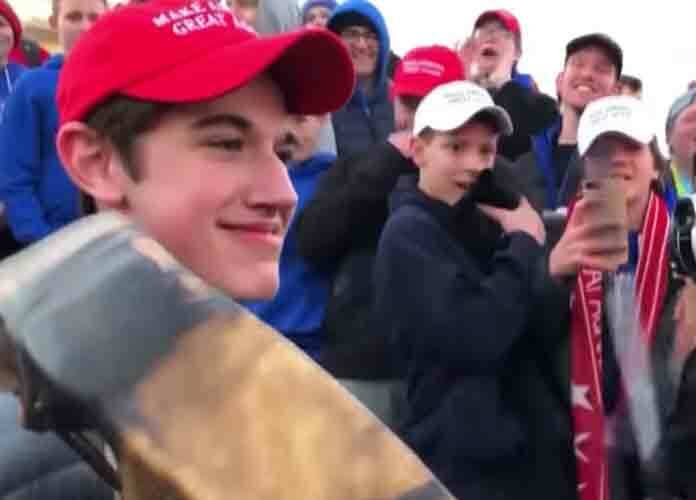 Video footage of the incident appears to show Nick Sandmann, a junior at Covington Catholic High School — an all-boys school in Northern Kentucky — standing in front of Nathan Phillips, an elder from the Omaha tribe who served in the Vietnam War. In the video, Sandmann is seen wearing a red “Make America Great Again” hat and is surrounded by many other young Trump supporters who are yelling “Build the wall!” and “Trump 2020!” — among other things — while Phillips is playing a drum and chanting. Sandmann appeared to be smiling multiple times throughout the confrontation, and the circumstances led to many news outlets reporting that the youngster was mocking Phillips. However, CNN obtained a statement from Sandmann in which he denied ever deriding Phillips. Instead, the boy claimed, he was simply trying to defuse the tense situation. Sandmann added he was shocked by the media and many others rushing to judgment about his behavior during the incident, and said none of the other people on his side were acting racist or otherwise hateful. The Indigenous Peoples’ March came one day before the Women’s March in D.C., the third straight year this even has been held since Trump took office. Kaya Taitano, a student at the University of the District of Columbia, attended the former of the two marches and said she “did not feel safe” during this particular confrontation. She also posted this video on Instagram. 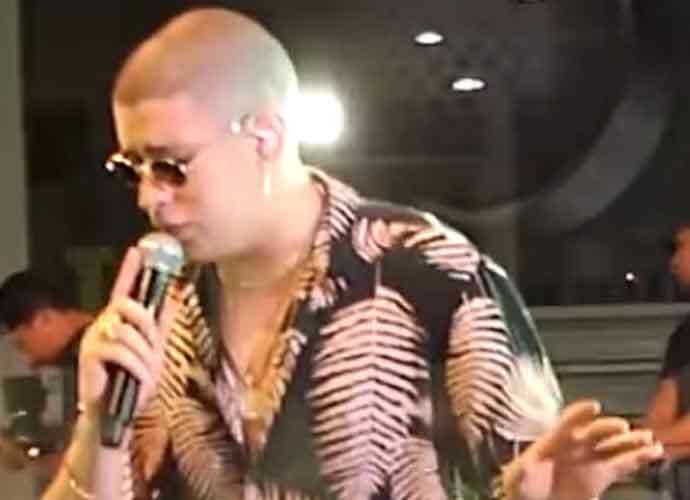 Taitano also reportedly added that the confrontation began after the teens and four young African-Americans, who were preaching about the Bible, started screaming at one another. The national debate over illegal immigration and the border wall has become more heated in recent weeks, and the federal government remains partially shut down for more than one month as Trump and Democrats in Congress have been unable to reach a deal on the issue. Phillips is a former director of the Native Youth Alliance and each year holds a ceremony to honor Native American veterans at Arlington National Cemetery. The Vietnam veteran later opened up about his face-off with Sandmann in an interview with CNN.